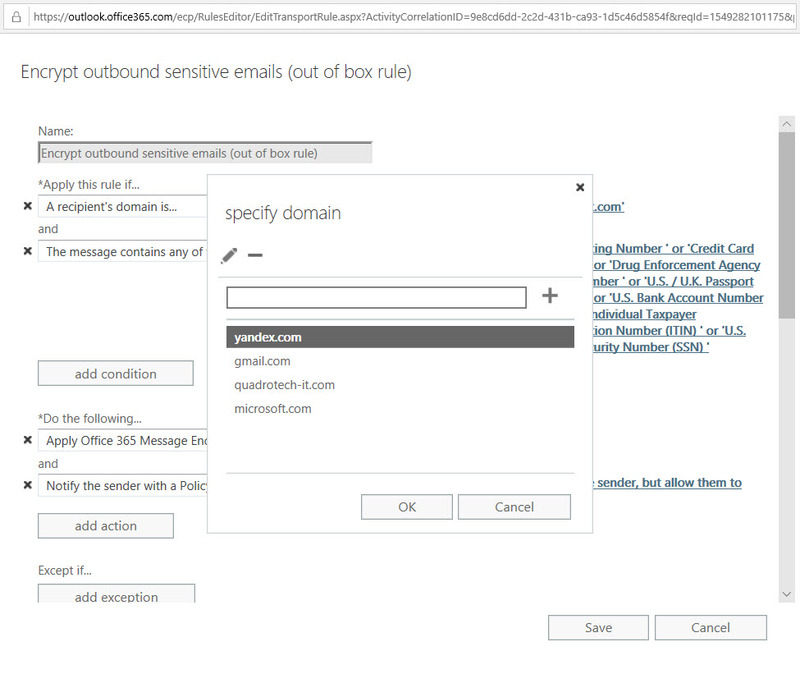 Microsoft has released details of an Exchange Online transport rule to encrypt outbound email containing sensitive data types like credit card numbers. 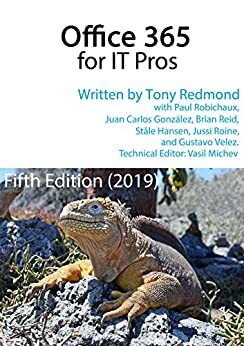 The rule works (after fixing the PowerShell), but needs to be reviewed and possibly adjusted to meet the needs of Office 365 tenants. 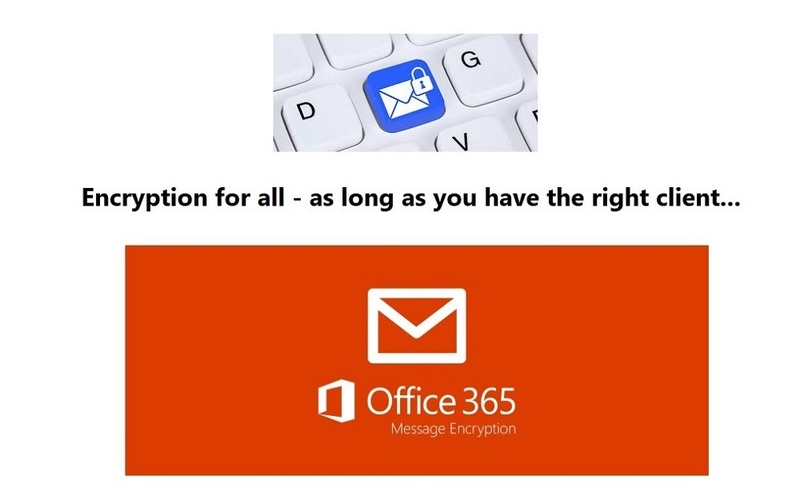 Microsoft has released a new setting in the tenant Information Rights Management (IRM) configuration to control if attachments of messages encrypted with the Encrypt Only feature (in OWA and Outlook) are decrypted when downloaded. In fact, two settings are available. One for people with Azure AD accounts, and one for those without. Copyright 2018. Redmond &amp; Associates.